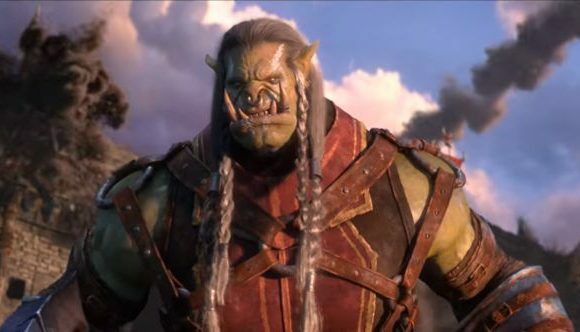 Ahead of the release of the new World of Warcraft expansion, Battle for Azeroth, Blizzard has released a new cinematic, this time focusing on the Orgrimmar leader Varok Saurfang. The cinematic was unveiled last night, having been initially revealed at the ChinaJoy conference in Shanghai. The video, titled ‘Old Soldier’, takes place in the wake of the latest Warbringer video, in which, if you’ll remember, the Horde didn’t come across particularly well. In that trailer, the leader of the horde, Sylvanus Windrunner, orders the burning of the Night Elf World Tree Teldrassil, a genocide that kickstarts the wars of Battle for Azeroth. Old Soldier shows that the Alliance have been quick to respond to Sylvanus’ crimes, and the video opens to an alliance army marching on a Horde stronghold as Saurfang watches from the battlements. Declaring that there are “too many” Alliance soldiers in the approaching force (but also casting his mind back to those that died at Teldrassil), Saurfang seems to abandon the Horde, taking off the pendant he took from his son’s body, before stepping out alone against the opposing army. The Battle for Azeroth release date is August 14, which means there’s just under two weeks until the war begins. Before then though, expect at least one more Warbringer update from Blizzard, to help get you entirely up to speed.